The Mermaid Man | Enough Talk, More Writing! 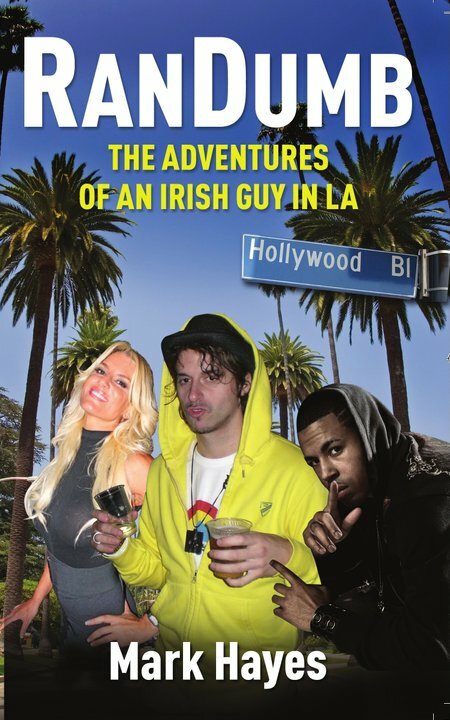 So yesterday was the West Hollywood Book Fair. And it went mighty! Ish. Slightly mighty. Good hoot. Bar getting the boot. Kicked out a book fair. Harsh. So I head down to the fair. Told I’m in this area where other writers are also set up. Stage. Mic. Table. Old people. Lots of old people. Big fan of old folk. Just not my main target market. Also situated just downwind of drainage pipes. Not the glamour one might never associate with a book fair. Pretty soon it’s figured this is not the most happening spot. Scouts are sent out. Seems that up above and around the corner is far more lively. Where all the bookstores are. Where all the people are. Where potential customers are waiting for me! Far better location. In the middle of the fair. People all aboot. Various sorts of booths and authors around me. Guy who played Hercules and Steve-O from Jackass directly in the booth across from me. Competition. Time to dominate. Who cares if they have lines queuing up for autographs and photos?! We have Guinness! Willy Loman At Your Service! Set up shop. Speaker on. Irish music pumping. Guinness open. Salesman pitch ready. Here we go! 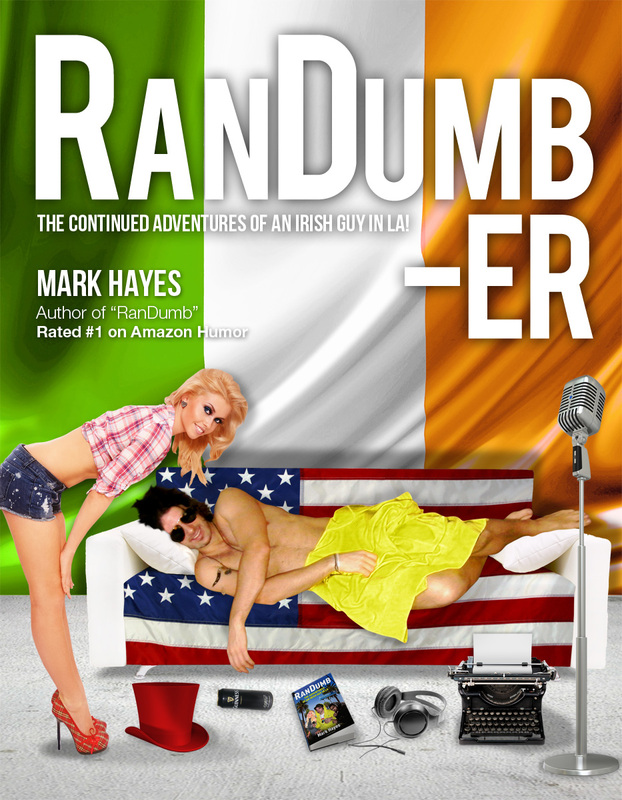 Buy a Guinness, get a free book! Roll up, roll up! Imagine the scene: You buy a Guinness. You go home. You pour a pint. You take off your pants. You find a comfortable seat. You open the book. You smell the beautiful new pages. You take a sip from your cold pint of Guinness. And then: You read on! Pretty soon I figured out my main market: Cougars. Tip o’ the top. Top o’ the duu. How’s it going? And how are you?! Snapping it up! Soon enough: Sell out. Sold out! Well. Few hours in the pre-tty hot sun. Beating me down like an angry cow. Tad goosed from the night before. Obviously there was only one cure. Which happened to be sitting next to me. So when a couple of punters came over, bought a Guinness (and got their free book) it would’ve been rude not to cheers them if they insisted. Tap. Psssht. Cheers! Around now my playlist was in full flow. People were jiving. Couples dancing. Cougars cooing. Steve-O laughing. Hercules charming. RanDumb… Selling on! On cue, a lady in an odd hat appeared at the booth. Up I jump! Wink. Charm. Gibber. Greeted by a stone cold dagger stare. And a… You have to leave now. You need to get out! This is not your booth. The music is not allowed. And this is a strictly non-alcoholic affair. You need to go, right now, OK, sorry, but get out. Cue two security men. Slash, volunteers. Cue me saying unfair enough. Cue me packing up. Shipping out. Not without selling two final books to two more older women on the way out. Coo. On! Oddly enough though the organiser emailed me today saying they were delighted with me. Making me wonder who that lady actually was. Ha. Might’ve just been an angry weirdo looking to start some argument. Should’ve asked for her badge. Either way, dancing affair at the book fair! Well. Besides the fact I actually lost money from the whole affair. You know, when I realised my distributors invoiced me for shipping out the books to me. Invoiced me $x per book. Sold each book at $x (cost price). Made zero money myself. And then I see they also charged me shipping expenses. It would’ve been cheaper if I ordered the books from Amazon than the publisher. Not only are they $5 cheaper. They also ship for free. And that gives you a little snippet into how wonderful the publishing world can be at times. Simply. Funking. Delightful. Did you know that writing a book can lead to granny like posture? It’s true. Also. It can result in you not really talking that often at all. More thoughts. Less speech. As a result, you can emerge from the writing-well looking and sounding like a mad mute hare. Not so good for the likes of stand-up. Where if you go up on stage and say nothing, you don’t really get that many laughs. Only so long that your looks can hook you up with that end. So. Improv. Force myself. On stage. Always talking. Being honest, I’m not a fan of improv. (Remember Gimprov?) However, I started thinking lately that maybe it was more me and less improv who was at fault. Maybe it’s not crap after all. More than likely I was just being an awkward ape. Ergo, let’s give it another go. Time to twirl! Quick scan of the class. Hmmm. Odd. These folk seem sound so far. No one too hyper. Only issue appears to be this roasting hot studio. Thank baby Jesus I didn’t wear baby blue again. 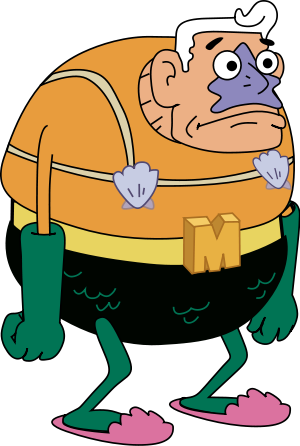 Hello everybody, I am… The Mermaid Man and eh, my signature call is… KAAAAAAAAAAWWWWWWWW!!!! Cue fifteen people repeating to me: Hi Mermaid Man! KAAAAAAAWWWW!!!! Three hours later, class done. So far, so mighty. Managed to leave my ego at the door. Commit to any apeness going on. Realise a lot of my brain’s fallback topics conversation wise are: Herpes. Lots of other sexual diseases. Cocaine. Prostitution. Iranian men. And. Body parts. You know, the usual! Also realised I am far easier to understand when speaking in either a cowboy accent or a high pitched old English woman’s voice. Which is actually what my inner voice. As opposed to my normal accent. Teacher: Anyone have any suggestions for what their topic should be? The Mermaid Man: Yeah, hats! Anyway, one down, two weeks to go. Mighty weather report. Or as a wise merman never said… Cats.